The performance, speed, and reliability of the Bosch Performance Speed drive system on the Bulls Urban Evo 2018 ensures you have a lot of fun cruising through the streets. Frame: The Bulls Urban Evo 2018 features a lightweight 7005 aluminum frame. It has a high strength to weight ratio and is highly resistant to corrosion. Brakes: The Bulls Urban Evo 2018 is equipped with high-quality Magura MT4E/MT4E hydraulic disc brakes with 180mm front and rear rotors. In addition to providing reliable stopping power, these brakes are low-maintenance and easy-to-control. Drivetrain: The Bulls Urban Evo 2018 features a Shimano Deore RD-M6000-D-GS, 10-speed rear derailleur and a Shimano Deore SL-M6000 10-speed shifter located on the grip. Tires: The power meets the ground with it’s Schwalbe Marathon Supreme HD Speedguard 50-622 tires and Ryde HC-26S aluminum rims. Motor: The Speed models utilize the Bosch 350 Watt Generation 2 Performance Speed motor delivering up to 60Nm of torque, rated as the best in the industry. 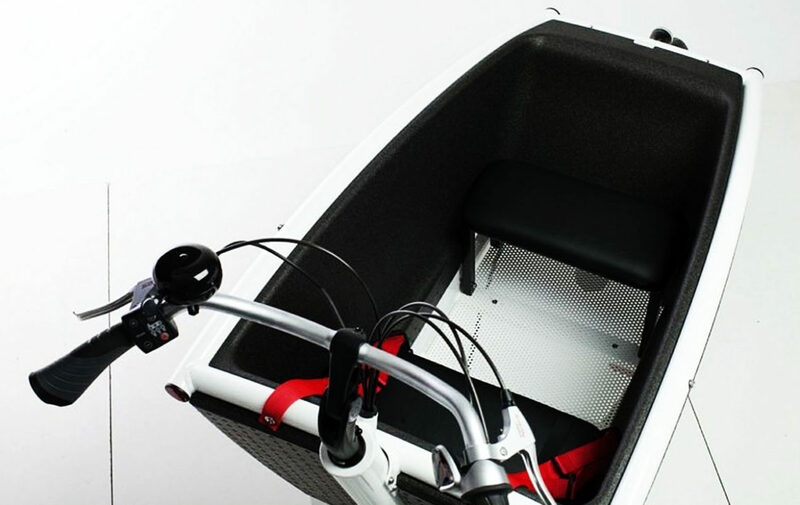 The Performance Speed motor will provide assistance up to 28 mph. The new Bosch Drive Units are fitted with sensors for power, pedal rate and speed with a sampling rate of 1,000 readings per second using a modern 32-Bit processor, the motor seamlessly adjusts to your abilities. In addition, Bosch also developed an automatic gear changer for the new systems: when changing gears the torque is reduced so that damage to the gears and chain is noticeably reduced. 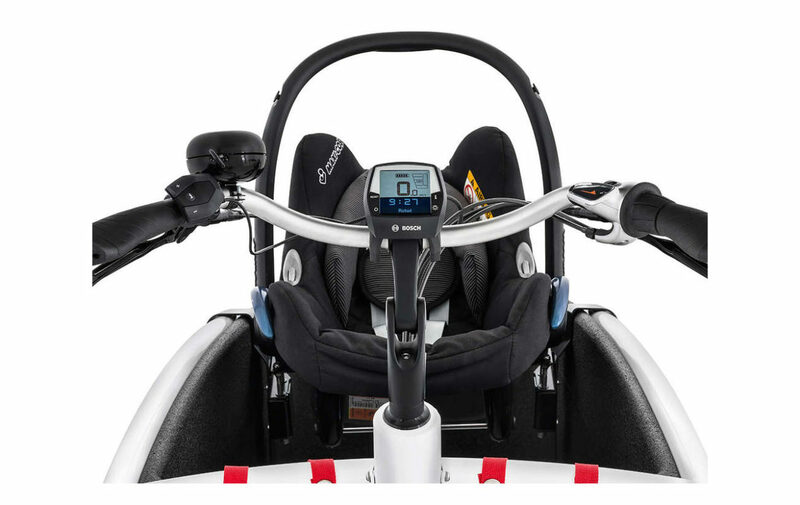 The new Bosch Generation 2 motor systems are extremely responsive, giving a natural and smooth ride. Battery: Bosch PowerPack 500 Performance, 36 V, 13,4 Ah/500Wh – The most powerful PowerPack available from Bosch. 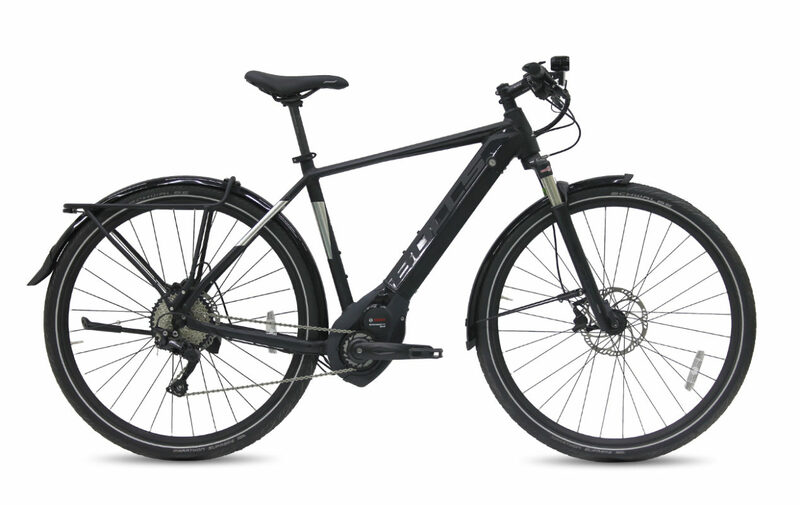 Ultra-modern Bosch lithium-ion batteries with 500 Wh energy reserve provide the power for our E-Bikes. The more Watt hours the battery has the wider its range. This also depends on numerous other factors, such as the pedal assistance level set, the pace, the outside temperature or the inclination of the route. The range computer on the display provides more detailed information. When it’s stop-and-go in the city, the range is shorter than with a constant journey over a longer distance – comparable with the fuel consumption of a car. 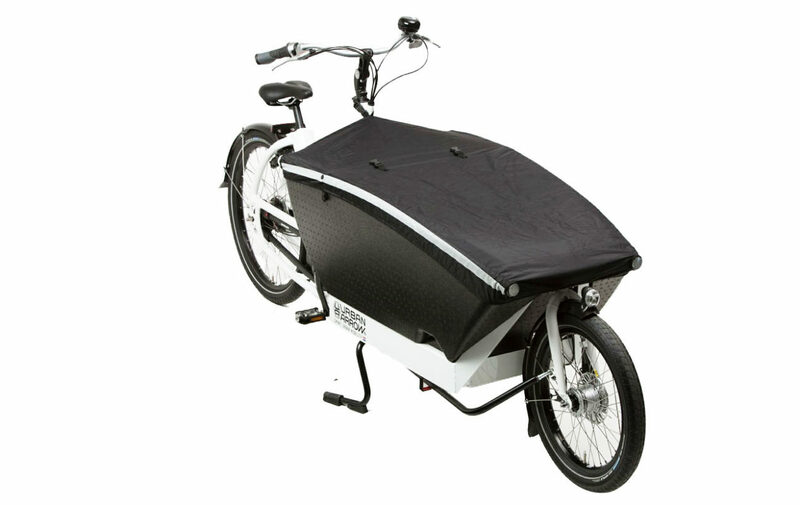 If you find while you’re on a ride that your battery’s residual power is not going to be enough to complete your journey, you can reduce the degree of assistance and therefore still reach your destination comfortably. The lifespan is 800 – 1,000 charging cycles. Thanks to the short charging times, the battery can be significantly topped up during a lunch break, for example. A complete charge takes just 4.5 hours. Display: The variable mode Bosch Intuvia LCD display has two main functions; to allow the rider to control drive parameters, and to display system information, including distance, time and speed. The control pad allows you to access all the computer and drive functions remotely, leaving your hands on the bar to maintain safety and security. To change motor settings while riding, simply push the large, glove-friendly keys on the handlebar control pad. This ensures safety and stability, while still allowing you to control the motor for optimal performance.